The pumpkin spice lattes are out, the leaves are beginning to fall, and September is around the corner. That means one thing: it’s Halloween time. People tend to either love Halloween or hate it entirely, and those who love it have their own favorite aspects about it. While some love the silly, prankster side of the holiday or the mountains of candy, many love it for the celebration of all things horror-related that it has become. You’ve probably already nailed down your nerdy Halloween costume choice by now, and now it’s time to look ahead to the month of October to mark down all of the Halloween movies on TV that you’ll be watching. Whether you’re looking for the newest addition to the slate of Netflix Halloween movies, what horror movies are being shown on cable television, or where you can watch a marathon of some of your favorite horror TV shows, there are zombies, ghouls, and ghosts aplenty for your viewing pleasure in the month of October. Between AMC FearFest, ABC Family’s Freeform’s 31 Nights of Halloween (that’s right – 31 days, not 13 days, this year), Disney Channel’s Monstober, Syfy’s 31 Days of Halloween, and Turner Classic Movie’s October Horror lineup, there are plenty of opportunities to catch your favorite family horror movies on TV, as well as some of the top horror films of all-time. The details for AMC’s FearFest 2018 have yet to be released, but we’ll keep you posted with the schedule as soon as they drop it. Luckily, the reason for AMC doing a shorter FearFest is because they’re airing the first 99 episodes of The Walking Dead the week before beginning on October 16 and ending on October 22. 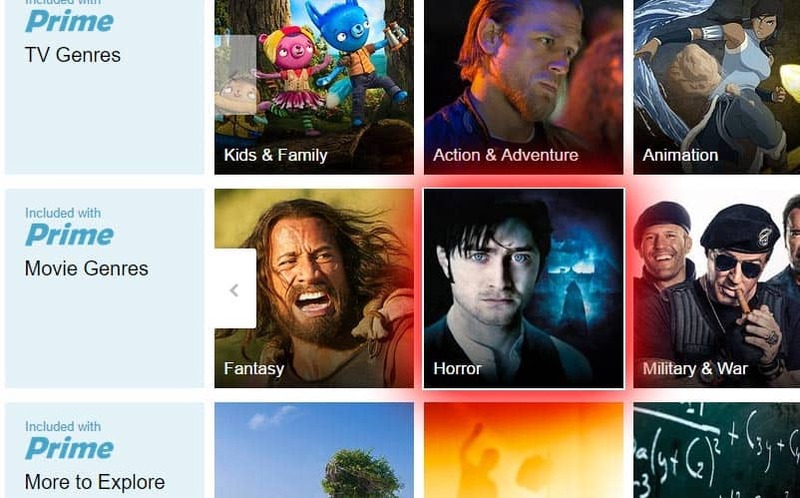 A look at the horror movies on Netflix and its layout. Netflix is absolutely filled with some of the best horror films, including zombie movies, classic horror, recent hits, and all of the creature features you could ever want for the month of October. 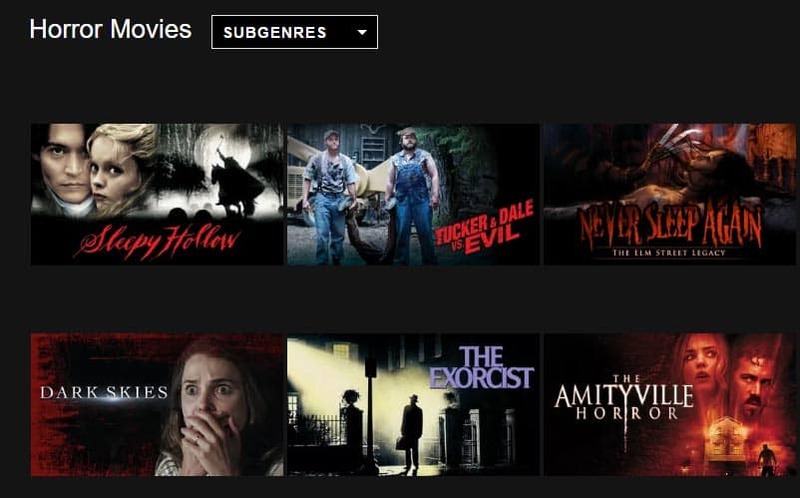 What’s more, Netflix has them all separated into subgenres like B-Horror movies, cult horror, slasher movies, and more. Netflix has over 260 horror movies on their platform right now, so whether you’re looking for some true scares or truly goofy horror romps with cheesy effects, you’ll likely find it for streaming on Netflix. Netflix will also have some big originals premiering in October this year including 1922, the original Stephen King movie hitting Netflix on October 20th, and Stranger Things Season 2 which drops just before Halloween on October 27th. 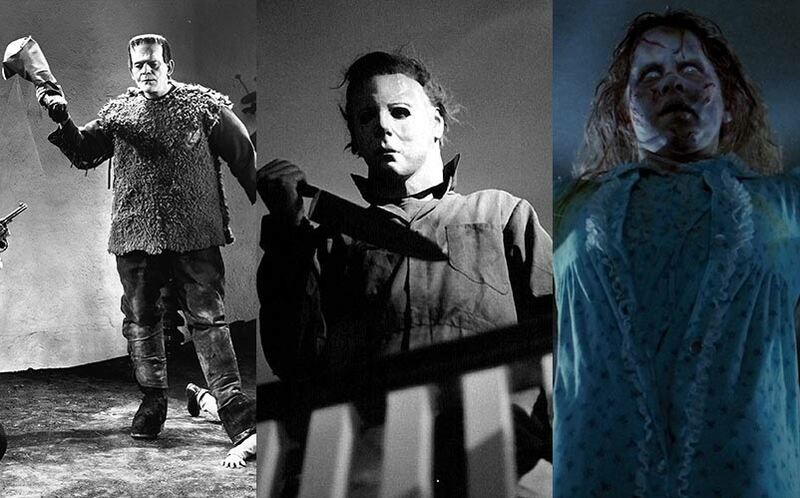 A look at the horror movies on Amazon Prime Video. Typically speaking, Amazon is the last place we ever think to stream our movies every night, but when you look at all of the scary films it has in its catalog — many of which are already “free” to watch with an Amazon Prime subscription (which, we have anyway) and the rest are pretty cheap to rent for an evening — Amazon is a pretty solid choice. Sign up for Amazon Prime Video here. 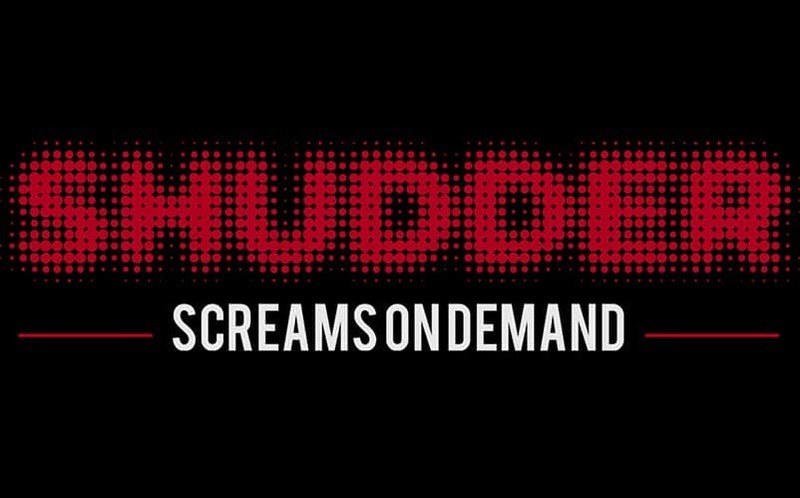 If you’re REALLY planning to spend a lot of your time this October watching horror movies, Shudder is basically a Netflix that only focuses on horror movies. They have more horror titles than any other service, and a month’s pass gets you unlimited access to their entire library for that month. Best of all, it also has rare and cult horror films that you likely wouldn’t find on Netflix or Amazon. You can use it on Roku, Chromecast, iOS, Android, and Apple TV with ease. Check out what’s available on Shudder here. If you’re like us, you love to watch the Halloween baking stuff on Food Network every year, as you never know what sort of awesome Halloween delectable treats you’ll find. Instead of flooding the above Halloween TV schedule above with all of the Food Network stuff like Halloween Wars and Halloween Baking Championship, we just wanted to shine a quick light on what the network has planned. Basically, any time you turn the channel to Food Network in October after 8PM EST, you’ll find a marathon of Halloween baking shows. What’s more, there are various other times that the network will be playing their Halloween-themed content. For the complete Food Network TV schedule, head over to their official site.